King Solomon’s journey into life began with an incredible, supernatural experience with the Almighty God who had chosen him to be king over His people Israel. Solomon was inexperienced and naive, but he had a humble and tender heart. God was pleased, and He gave him more knowledge, wisdom and understanding than any human being on earth. Solomon applied this wisdom to lead God’s people in righteousness and justice. Life was beautiful because Solomon knew his purpose on earth, and he looked to God to enable him to fulfill that purpose. But later on Solomon got off on a tragic detour. He decided to find out if there was something more to life than walking with God and doing His will. He set out to use his great wisdom to figure out everything under the sun and, in the process, create his own independent life centered around himself. By the time he was done, he was completely disillusioned, lost and empty. He summed up his findings with the words, “Vanity of vanities, all is vanity” (Ecclesiastes 1:2). Then he went on and described life as a series of meaningless and futile pursuits that end up in grief and nothingness. What happened to godly Solomon and his wonderful relationship with God that he would come up with such a depressing conclusion? He experienced that our lives as human beings lose their beauty and joy when we no longer know why we are on earth, for our lives only make sense and have purpose in relationship to our Creator. Once we walk away from Him, everything becomes meaningless. Is it possible that Solomon’s experience can happen to any one of us? It can if we don’t know why we are on earth or if, as believers, we lose sight of the purpose of God in our lives. We all are driven by something, and that something determines what we say and do, the way we behave and the choices we make. Me: “Why do you want to learn? I want to ask you a similar question: “What is it that makes you do what you do and be who you are today?” Think about it. Is it ambition, power, position or money that motivates you, or are you driven by fear, anger, bitterness, failure and the guilt of your past? If your honest answer is any of the above, you are well on the way to ending up with Solomon’s sad conclusion about life: Everything is meaningless. God’s Word tells us clearly that our life on earth is not meant to be a pointless existence, but that each of us was created to fulfill a wonderful and specific purpose in God’s plan: to live for Him. When Solomon lost sight of this truth, his life became empty. Perhaps you, too, got sidetracked in your own pursuits or find yourself trapped by past failures, hurt and guilt, and you wonder if there is a way back. Yes, there is! Many examples in the Bible are proof that God’s high calling for someone’s life never expires. Peter, whom Christ said He would give the keys of the kingdom to, is one of them. After Peter had denied the Lord three times, he thought God had no use for him any longer. But when Jesus had a private talk with Peter after His resurrection, He never mentioned his failure but only asked him if he loved Him. Then He completely restored Peter’s calling. God will do the same for you. My dear friend, the only thing that is truly worth living for is Jesus and Jesus alone. If He becomes your sole purpose, then you know why you are on earth, and your life will be fulfilled and beautiful even in the midst of difficult circumstances. You see, our desire for self-preservation—for securing our future and for making sure we personally get something out of what we do—whether secret or openly expressed, prevents us from thinking long or deeply enough to find godly answers. Instead, we cling to the traditional missions approach, no matter how ineffective it might be. And in our personal lives we seek to exchange the uncertain “follow Me” by leaving His calling or replacing our service to the Lord with something that guarantees security. Elisha’s servant Gehazi and Demas, the co-worker of the Apostle Paul, are both examples of this. Suddenly, it’s our personal struggles and the question “What do I get out of it?” that take priority over millions of lost souls, eternity and our calling. Immaturity is our problem—little squabbles, difficulties, discouragement and unfulfilled expectations. These are the major reasons why people get out of the battle. It takes godliness, spiritual maturity and faith to look past such things to the good ending that is still yet to be realized. Jesus saw beyond all His impending suffering on the cross to the joy of bringing multitudes into the kingdom, and He was willing to pay the price (see Hebrews 12:2). 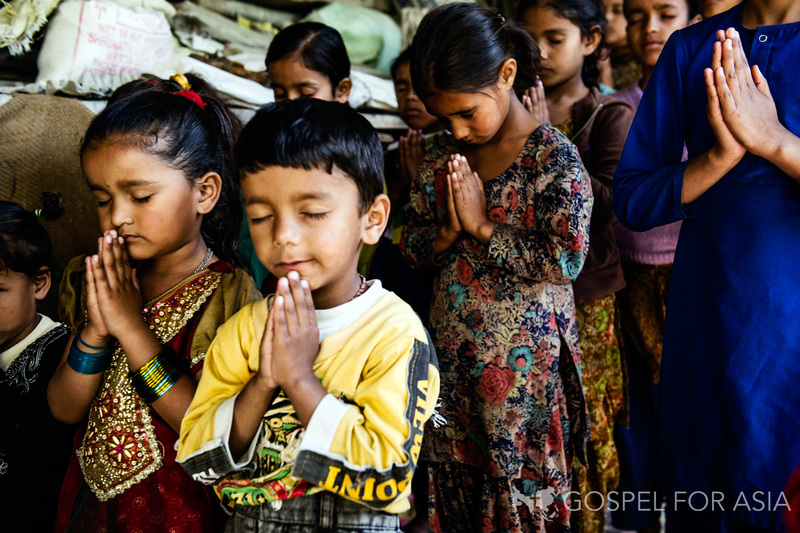 One family had such vision and gave money for a van for one of our Bible colleges in India. They didn’t ask what was in it for them. And God used this vehicle to become instrumental in seeing the church in that area grow from 85 to 227 people. When we follow Jesus and serve Him, looking ahead by faith, we don’t have to be anxious about what we will get out of it. He has already promised to meet our needs, and He remembers our labors on behalf of His kingdom: “For God is not unjust to forget your work and labor of love which you have shown toward His name” (Hebrews 6:10). He even tells us that whatever we have done to the least of His brothers, we have done to Him. Keep your hand to the plow and don’t look back. It is well worth it. Have we armed ourselves with the willingness to suffer— to the same extent that Christ suffered for us when He was on earth? I am well aware that the idea of embracing suffering does not fit our 21st-century concept of following and serving Christ. Yet the Bible teaches that suffering for Him is our privilege: “For to you it has been granted on behalf of Christ, not only to believe in Him, but also to suffer for His sake” (Philippians 1:29). Does that mean we all should seek out beatings and martyrdom? No, that’s not what it means. The Lord wants us to arm ourselves with a mind to suffer just as He did, so the Enemy has nothing to work with to get us out of the battle. Jesus’ life is our model in this area: “Christ also suffered for us, leaving us an example, that you should follow His steps” (1 Peter 2:21). Christ did not suffer just during His three years of public ministry or the last few days of His life when He was crucified. He suffered throughout His life on earth. He who was without sin lived daily with the corruption and sinfulness of lost humanity. His own family members said He had gone mentally insane. The religious community misunderstood Him and called Him a demon-possessed man. His disciples didn’t understand Him. From birth to the cross, His life was full of pain, loneliness and constant misunderstanding. He is called a man of sorrows and acquainted with grief. In the midst of it all, He chose to suffer in the flesh by saying no to Himself. He never fought for Himself or attacked anyone to defend His rights. And in the end, Jesus was able to say, “Not My will, but Thine,” embracing the cross to fulfill His Father’s will. But what was the reason for Christ’s suffering and death? It was to redeem mankind. And so it is with us. We can only become agents of redemption if we are willing to embrace suffering in the flesh—choosing to deny self and accepting death to our own desires. We find a beautiful picture of what it takes to maintain this kind of unity in Jesus’ last Passover with His disciples. When He took the bread, He said to them: “ . . . this is My body which is broken for you” (1 Corinthians 11:24). If we look closely at a piece of bread, we will find that it is made up of thousands of kernels of grain; however, none of these individual kernels was left whole. They were all ground up into powder and mixed together before a loaf of bread could be formed and baked. The bread Jesus gave to His disciples was not only a picture of His body being broken on our behalf on the cross of Calvary, but it was equally a picture of what it took for Jesus to become the Bread of Life. He was crushed and powdered as He laid down His own will and learned obedience through the things He suffered. What about us? The Bride of Christ is also the Body of Christ. If we are His Body, we must also become bread that God can break to feed the multitudes of our generation. We can only become a loaf of bread to feed the hungry if the oneness of the Spirit is among us. And oneness only comes by yielding ourselves to be ground, powdered and mixed together.